Looking for a new gaming headset but not sure which pair of headphones is the best? Then you’re in luck, as we’ve tested all the latest and greatest to find the top 10 currently on the market. There was a time when gaming headsets didn’t match up with anyone looking for audio quality. But over the last couple years that’s changed thanks to the arrival of stellar headsets from the likes Sennheiser, Razer, and SteelSeries. This trend looks set to continue with big names including Sennheiser having already unveiled spiffing new headsets. Chief of these is the Sennheiser GSP 600. The Sennheiser GSP 600 is the follow-up to the company’s Game Zero and promises to improve on its predecessor’s already impressive audio chops by offering users an updated speaker system and new earpad design. Though with pricing starting at €249 (£219) it’ll be an expensive luxury when it launches at the end of the month. If you’re on the market for something a little more affordable, or can’t wait for a new headset, there are plenty of great options currently on the market. Read on to find the 10 best we’ve tested. Also make sure to check out our below buying guide to find which type of gaming headset is best for you. What type of headset should you buy? Analogue headsets: These use one or more 3.5mm headphone jacks to transmit audio to and from the headset, and are often universally compatible with PCs, consoles and mobile devices. The sound quality will rely on your individual device however, and they won’t support surround sound out of the box. Keep in mind that on PCs with separate mic and headphone jacks, you’ll need a splitter. Some headsets will come with one, but not all. Check before you buy and pop one in your basket if you need one. Digital headsets: Featuring an integrated DAC (digital-to-analogue converter), digital headsets offer cleaner sound, higher volumes and software integration. 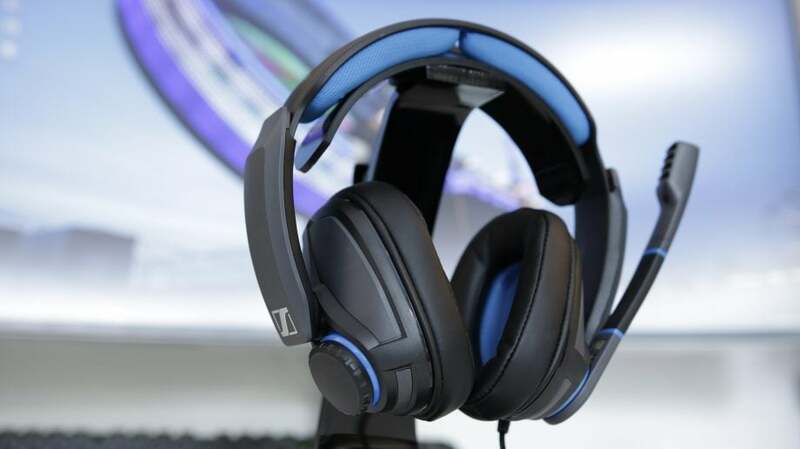 USB-connected headsets will work on PC/Macs and PlayStation consoles, while optical-based headsets will work with Xbox and PlayStation consoles, plus PCs with optical ports either on the motherboard, internal sound card or USB sound card. 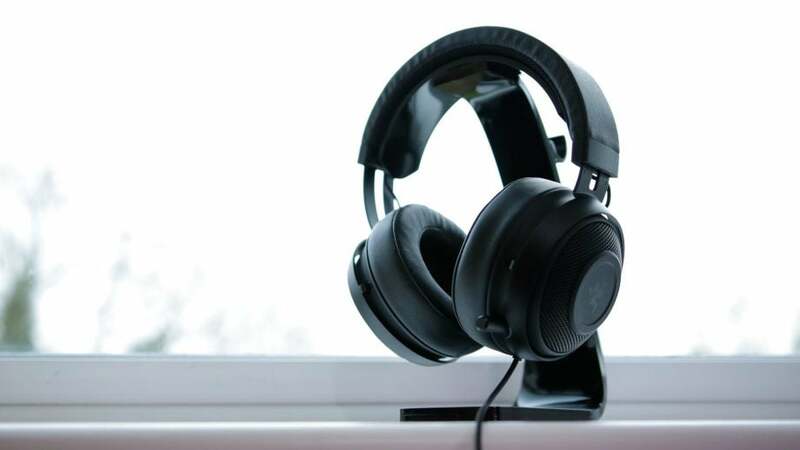 Wireless headsets: Using a transmitter that’s connected to your PC or console, wireless headsets offer hassle-free gaming audio. However, they do require charging, are often heavier, and cost more than their wired counterparts. Check compatibility with your console of choice, as not all wireless headsets support all consoles. Virtual Surround Audio: Headsets using stereo drivers can recreate multi-positional audio to deliver a surround sound effect into your ears. The advantage is that the headset remains cheaper and lighter than those using multiple drivers, but the effect is usually less accurate than a ‘true’ surround headset. ‘True’ Surround Audio: For the most authentic surround sound, you’ll be after a headset with multiple drivers in each earcup. Each speaker fires sound from different placements, with the user placed in the centre of the action. They’re often quite pricey, though, and the extra speakers require a larger and heavier design. The SteelSeries Arctis 7 is our favourite gaming headset. Why? Because it’s everything a good headset should be. It’s remarkably comfortable to wear over long periods of time thanks to a clever self-adjusting band, and unlike some competitors, it doesn’t present any nasty side effects as a result. Using a USB transmitter, the Arctis has excellent battery life and range. Unlike a lot of rivals, the retractable microphone isn’t a weak link, and vocals come across clearly. Audio quality is sublime regardless of the application, and it’s just as happy with your music library as it is with Battlefield 1. 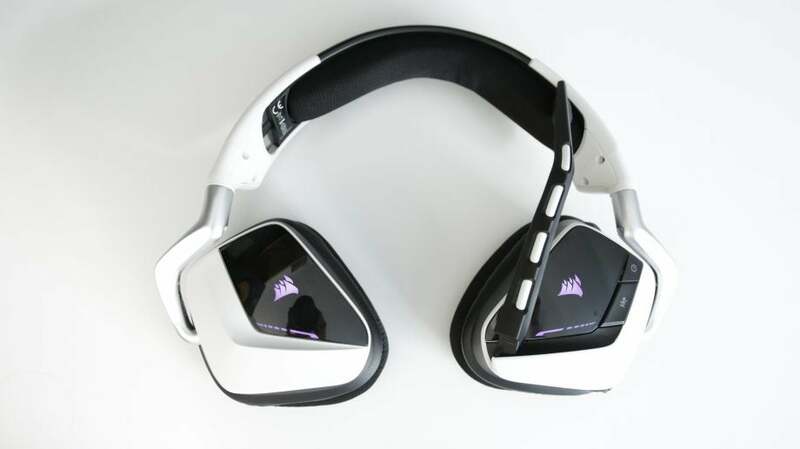 It’s also uses DTS Headphone:X when gaming on a PC, providing an extra sense of space through virtual surround sound. If you’re a PS4 or PC player and have £150 to spend on a headset, then look no further. 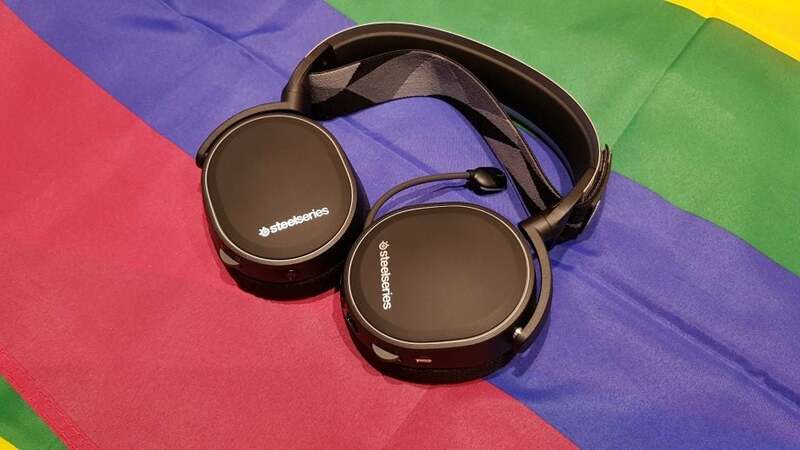 At the time of review, the SteelSeries Arctis 7 was available for £159.99. 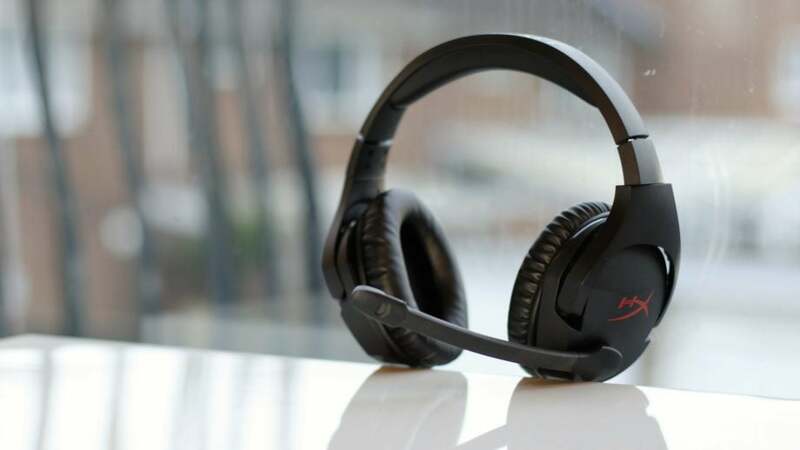 The HyperX Cloud II is perhaps the most sensible choice for those looking for a new headset. With an RRP of £75, it’s right at the bang-for-buck sweetspot. You get a lightweight yet luxurious design that screams quality and is incredibly versatile. Sound quality is excellent for the price, with clear vocals in music, and deep low-end reproduction in games. The microphone has a large pop filter for clean microphone pick up, and thanks to that optional USB connection, recordings will be free of static interference too. 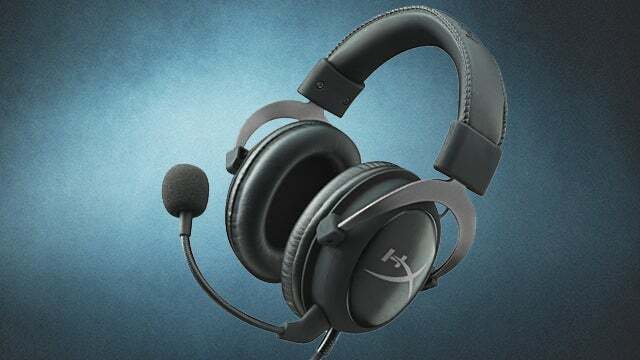 If you’re after a jack-of-all-trades headset for a reasonable price, the Cloud II is for you. At the time of review, the HyperX Cloud II was available for £74.99. Not everyone wants to spend a huge amount on a headset. Fortunately, HyperX has you covered with the Stinger. The build is a little plasticky, but it’s strong and fairly lightweight. It’s comfortable to wear too, thanks to the Stinger’s faux-leather and memory foam earcups. Gamers will love the audio performance, with a rich sound that isn’t cut back or otherwise compromised. Gunfire is delivered with weight, along with a top-end that never seems to fall apart. The microphone works surprisingly well, too, and it even mutes itself when retracted. For its price, you’d find it very difficult to do better than the HyperX Stinger. At the time of review, the HyperX Stinger was available for £49.99. Surround sound doesn’t necessarily make for a better headset, which is exactly why Sennheiser offers the GSP 300. For £90 you get fantastic audio quality, with performance that holds up to headsets costing much more. This includes music, too, since it doesn’t matter whether you’re listening to Drake or Howard Shore, sound is delivered with clarity and substance. However, as is often the case with analogue cans, you’ll need a decent soundcard or DAC to get the most from it. While the large microphone isn’t retractable, it’s arguably one of the best on any headset – regardless of price. If you regularly take calls or perform Destiny raids, you’ll love it. At the time of review, the Sennheiser GSP 300 was available for £89.99. Console users who are after an easy-to-use wired headset should strongly consider the Kraken Pro V2. It’s very well built, thanks to Razer’s use of metal on the earcups, and has a relatively short cable that makes it easier to cleanly connect into your controller. We love its overall look, too, with a design that’s stylish and feels expensive. Sound quality is excellent, with a slightly bassy signature that makes it ideal for gaming; but it isn’t so overpowering that it becomes unsuitable for music playback. If you want something that’s quick and easy to use, without the hassle of charging, the Kraken Pro V2 will be right up your alley. Fancy virtual 7.1 surround-sound? Take a look at the Kraken 7.1 v2. At the time of review, the Razer Kraken Pro V2 was available for £79.99. The Corsair Void RGB Wireless represents fantastic value for money. It’s one of the cheaper wireless headsets out there, and while it does make compromises, it’s strong in the areas that count. The wireless signal is strong, with 12m of range, and it offers up to 16 hours of battery life. Even better is the audio quality, which somehow surprises each time the headset sits on our ears. Comfort could be slightly better, though. While it’s plentiful in the padding department, we do find them a little loose around the head. At the time of review, the Corsair Void RGB Wireless was available for £99.99.